Leaping into a vegan lifestyle, I cleaned out my cupboards of anything I would no longer eat or use. I also looked around my home and my life, and I was crushed. I now realized the extent of nonhuman animal-derived products and practices that I used and surrounded myself with. The makeup that once gave me a rosy glow on my cheeks, long flirty lashes, and soft lips now saddened my soul; I found out that the blush contained carmine (or cochineal) which is red dye made from crushed scales of insects, and my mascara and lip balm contained beeswax. In addition to the products containing animal by-products, the majority of them—ranging from my beloved pink lip gloss to the toilet bowl cleaner—were tested on animals. 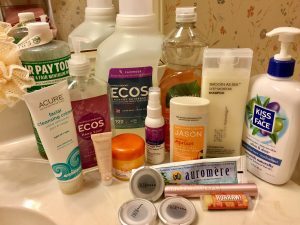 Slowly I started replacing my cosmetics, personal care items, and household cleaners with products that did not contain animal by-products and were not tested on animals. This task would be easier now since more and more companies are forgoing animal testing and are being certified cruelty-free by either Leaping Bunny and/or PETA. But beware that cruelty-free does not always mean vegan. Some products still contain animal by-products even though they are not tested on animals. After the cupboards, I went through my closet. I eliminated clothing, shoes, belts, and handbags made of wool, silk, leather, and fur. 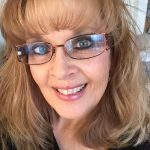 While it may seem daunting when you first become vegan to sift through everything you own and the habits you’ve built, the internet is full of great resources like Cruelty-Free Kitty, My Beauty Bunny, Leaping Bunny, Vegan Essentials, Alternative Outfitters, PETA’s Beauty without Bunnies, and PETA’s list of vegan companies. And that’s by no means an exhaustive list—you can check out our Cruelty-free Shopping and Vegan Resource page for even more resources. Transitioning to a vegan lifestyle is one of the most rewarding and compassionate things I’ve ever done. And now, thanks to veganism becoming more popular and recognizable, it really is becoming easier and easier to live vegan. So why not take the leap? You won’t regret it, and neither will the animals and environment.